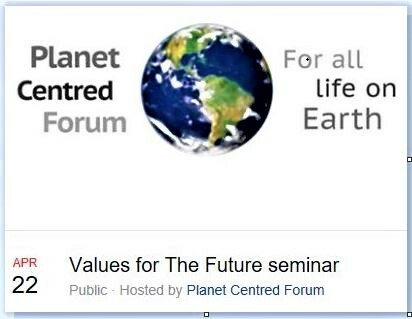 Cost for the whole day is £10 – paid at the door or booked through the PCF website: www.planetcentred.org. 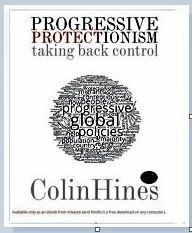 Colin Hines is a former co-ordinator of Greenpeace International’s Economics Unit, co-founder of Localisation West Midlands, and co-ordinator of the Green New Deal Group (dedicated website temporarily unavailable). He has campaigned on population, food security, nuclear proliferation and the adverse environmental and social effects of international trade. He will speak about his conviction that the only way to solve these problems is by replacing globalisation’s open borders with ‘Progressive Protectionism’ (left, recently published). Malcolm Currie, a former geography lecturer and community activist has long had an interest in environmental issues. This recently led to a partnership with the founder of the Midlands Environmental Business Club which has focused on a project aiming to demonstrate the feasibility of neighbourhood based sustainability: the Uplands-Hilltop project (above). Read more about this from the joint project leader on the right-hand bar of this site. Malcolm says: “The problem is how to attempt to create a sustainable world without wrecking the economy that provides most people with jobs and incomes . . . The case has to be made that in the longer term regional diversity and shorter supply chains make for greater efficiencies (and local jobs). Global production and distribution is actually highly inefficient, apart from producing a monochrome world and damaging the biosphere.” A different way of organising trade and industry has to make sense to those who control, or are engaged in, business. Christine Parkinson, a biologist (medical research), has more recently been involved in regeneration projects in Birmingham’s inner city suburbs. She has just finished writing “Three Generations Left? 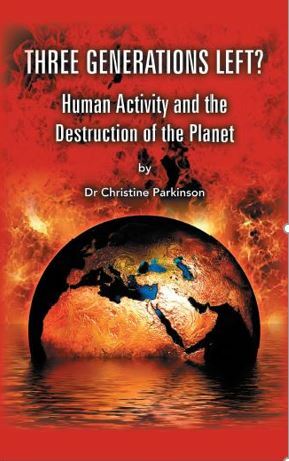 Human Activity and the Destruction of the Planet”, which outlines how so-called progress has combined with a host of other factors, including free trade, a market economy, population increase and the development of a super-rich minority owning most of the wealth of the planet, to bring about global warming and climate change which could lead to a loss of many species and mass human extinction before the end of this century. The book offers clear and constructive proposals for measures which will avert such a disaster. Seating limited: prebooking is recommended. Having doffed his green, safe and smart cap, Birmingham City Council’s cabinet member for community safety, James McKay, has now written to welcome the Government’s latest approach to extremism – “tackling the threat from terrorism in all its forms. We can’t pick and choose which extremism we want to tackle. We need to fight it all”. As an estimated 1460 Birmingham people die from air pollution each year, the government prefers to focus on terrorism, which has killed very few. Public Health England reports show that air pollution is estimated to cause 1,460 excess deaths a year in Birmingham and the Government has been ordered by the UK’s highest court to take immediate action over its obligations under European law on air pollution limits. In April, ITV News Consumer Editor Chris Choi reported from Birmingham, one of the worst affected cities. 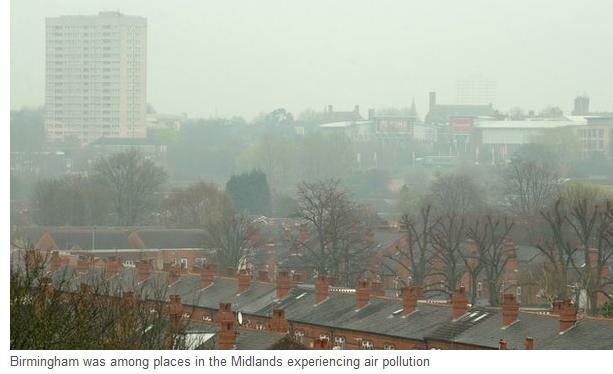 Watch the video: http://www.itv.com/news/update/2015-04-29/birmingham-one-of-uks-worst-cities-for-air-pollution/. Monbiot insists that all the hazards he named – except nuclear proliferation – should be given more resources and political effort than are deployed to confront Islamic extremism.